You’re about to see a perfect marketing manager resume sample. Better yet? I’ll teach you how to write an equally great one yourself. Exciting projects. Creative freedom. Flexible schedule. Great pay. Between you and this job there’s a pile of 300+ resumes on the hiring manager’s desk. Most of these won’t get more than a fleeting glance before getting tossed to the bin. But your resume will make the hiring manager want to call you in the middle of the night. A marketing manager resume sample better than 9 out of 10 other resumes. How to write a marketing manager resume even if you have no experience. Tips and examples of how to put skills and achievements on a marketing manager resume. How to describe your experience on a resume for marketing management positions to get any job you want. 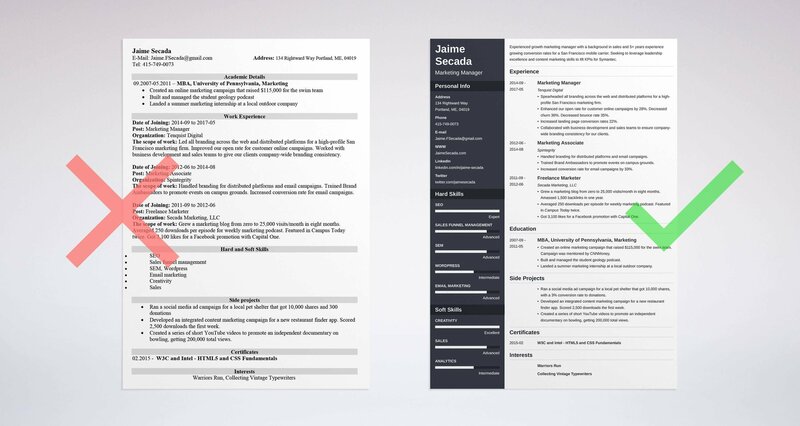 Here's a sample resume for a marketing manager made using our resume builder. Marketing Manager Resume Example—See more templates and create your resume here. What’s the Best Marketing Manager Resume Template? That was a killer commercial slogan, right? Would the ad have made any impact though, had it been shot in a poorly-lit basement with a hand-held camera? The answer’s clear. In marketing it’s about what you say and how you present it. 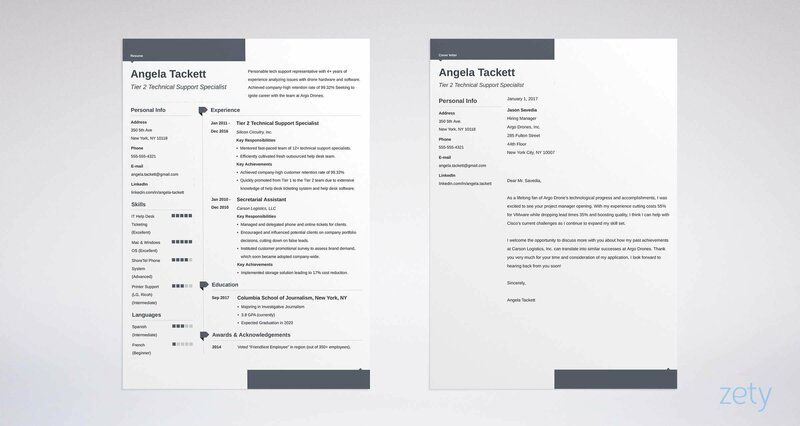 Choose an elegant, respected reverse chronological layout for your marketing manager resume. It lets hiring managers grasp your value proposition fast. Use clear, legible resume fonts, and big section headings. Be generous on white space. Recruiters need some breathing room. Finally, save your marketing manager resume in PDF. MS Word files can go south in transit. Pro Tip: PDF resumes are best because their layout is always intact. But double-check with the job postings. Some employers who use old-school ATS expect marketing manager resumes in Word. Not sure about the reverse-chronological format? Check out our handy guide: Resume Formatting: Which of the 3 Formats Is Best for You? Marketing Manager Resume Objective or Summary? On average, recruiters and hiring managers spend just 6 seconds on every resume they get. You can actually make them read yours in full. Put a flawlessly phrased marketing manager resume objective or resume summary at the top—a short and sweet paragraph just below your contact information that explains why you’re the perfect candidate for this job. It works like a trailer for your whole resume. Get it right, and the hiring manager will be dying to read on and learn more about your career. Alright, but which one should you choose? Got relevant managerial experience? Go for the resume summary. Give an outline of your career and highlight your most impressive wins. Writing a resume for your first marketing manager position? Switching careers? Choose a resume objective. Discuss what skills you’ve mastered so far and how well you’ll fit in. People don’t want to buy a bed. They want good night’s sleep. Hiring managers don’t want “a marketing pro highly skilled in X, Y, and Z.” They want their company to earn a fortune and become a powerful brand. Focus your marketing manager resume heading statement on your prospective employer’s benefits. Don’t make it a trophy case where all you do is brag unrelentlessly. Let me prove my point by showing you some examples. Highly capable marketing manager with 6+ years experience, seeking to leverage proven leadership and strategy skills to grow revenue at Eskelund Global. Met 150% of revenue goal in fast-paced tech firm. Led 7 cross-functional product teams to 25% efficiency improvement and $1.2M cost savings. Marketing manager with advanced proven leadership and organizational skills. Seeking to join a company where I can supervise challenging marketing projects, both ATL and BTL. First of all, it lists no specifics. “Proven” set of skills? Mentioning them on a resume doesn’t automatically prove anything. Secondly’ it’s all about me, myself, and I. All other candidates want to run challenging projects too. And one with a resume summary that proves her value will get to do it. Now, let’s have a look at two very different marketing manager resume objective examples. Energetic sales and marketing professional seeking to help increase revenue at Jenny’s Regional Design through a more comprehensive approach to visual social media marketing (Pinterest, Instagram, Tumblr). As a self-employed sales and marketing consultant, developed 15 wireframes for small businesses and took 2nd place in a Techstars Startup Weekend. Business owners would fight one another over who hires this one as their new marketing manager. 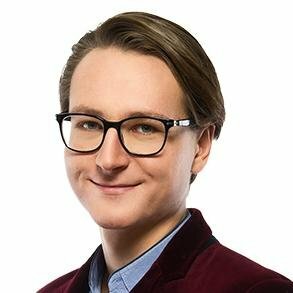 Young marketing pro with 4+ years of freelance consulting experience seeking to join a tech startup to face the challenges of my first managerial position. So you’re a reckless, inexperienced millennial, dreaming about #startuplife? Pro Tip: In every resume objective or summary for marketing manager positions, address the company by name and indicate the position you’re targeting. As a marketing pro, you don’t need to be reminded how powerful personalization is, right? For more advice on writing your marketing management resume objective or summary, read: How to Write a Professional Summary and How to Write a Resume Career Objective. How to Describe Your Marketing Management Experience? You’re not just a marketing pro. You’re a manager. The person held responsible for the whole team’s performance. When describing your past positions, you need to highlight that you’re not only a skilled marketer, but also an inspired leader. For each position, add up to 5 bullet points describing your managerial duties and, more importantly, your achievements. Spearheaded all branding across the web and distributed platforms for a high-profile San Francisco marketing firm. Enhanced our open rate for customer online campaigns by 28%. Decreased churn by 36%. Supervised business development and sales teams to ensure company-wide branding consistency for our clients. Key achievement: Introduced an incentive-driven A/B testing competition among team members which resulted in increasing landing page conversions by 114% in 4 months. See? Achievements, hard numbers, and a clear proof of leadership skills. All check. Now, have a look at an example of a marketing manager resume that doesn’t get it quite right. All the information above is already contained in the “digital marketing manager” job title. This description could hardly get more generic. Since you’re applying for a managerial position, I’m guessing you’re not a fresh graduate. At this stage of your life, the primary purpose of your resume’s education section is to assure recruiters that you’ve got a degree. Simple as that. In your marketing manager resume education section, limit yourself to your highest level of education. Pro Tip: If you complete courses on digital marketing from Hubspot Academy, you can pin a badge to your LinkedIn profile. Think about online marketing and optimizing your content for the best search engine performance. You need to decipher users’ search intent by analyzing keywords they type in Google so that you can provide them with information they want. Writing your resume skills list isn’t much different from SEO. It’s just easier. The search intent of recruiters is explicitly stated in the job ad. So are the keywords. You just need to use them on your resume. Read the job ad carefully and look for skills-related keywords. See which of these keywords match your skills listed in the spreadsheet. Quite a few, right? These go on your resume. Show, don’t tell. Or, actually, show and tell. Provide proof for your most strategic skills, alongside listing them on your marketing manager resume. For reference, see the example below. Pro Tip: As a marketing director or manager in today’s world, you need to keep up with the latest trends and constantly develop your skills. One of the most important new skills to learn (if you haven’t mastered it yet)? Visual marketing. This study shows that the content distribution channels most companies plan to add to their marketing communication areas next year are: YouTube, Facebook Video, and Instagram. Job seekers lie on their resumes and recruiters know that. That’s why they read every resume they get with a pinch of salt. You can make them actually believe yours. Add an extra section that provides proof that you’re the best marketing manager they’ll ever find. List your verifiable, unquestionable accomplishments. Have a look at some ideas for an additional section on a resume for marketing manager positions. Well… Get some! Apply for a couple of conferences, consider taking a course, get more active on social media. As a marketing manager, you surely have a lot of professional expertise and insights many junior-level professionals would love to learn. Pro Tip: If your schedule is too busy to take a traditional course, consider completing one online. You can finish most of these in just a couple of weeks and easily beef up your marketing manager resume. How About a Marketing Manager Cover Letter? Contrary to what you might have heard, the cover letter isn’t dead. It’s alive and well. So well, in fact, that 45 out of 100 recruiters won’t even bother to open your resume if there’s no cover letter attached. Storytelling sells. That’s a research-proven fact that has greatly influenced marketing in the last few decades—something you surely know. It should also influence your job search. In a well-written marketing manager cover letter, you can tell a story even the best resume won’t ever tell. But even if you’re more of a data-driven marketer than storyteller, never forget that attaching a cover letter to your job application basically doubles your chances of landing the interview. There’s no arguing with data, is there? Pro Tip: Once you send your marketing manager resume and cover letter, don’t forget to follow up on your application. A well-placed phone call or email can put you top of mind. Open your resume with a resume summary or a career objective. Say what makes you a great candidate and make an offer. In the work experience section, focus on your achievements, not just responsibilities. Highlight your leadership and managerial skills, not just technical marketing skills. Match your resume skills list with the keywords from the job ad. Got any more questions? Need further help? That’s great cause I can’t wait to hear your thoughts! Drop me a line in the comments and I’ll get back to you double-quick. Let’s chat!